As editor of Edina Magazine, I often get to meet interesting and inspiring people. 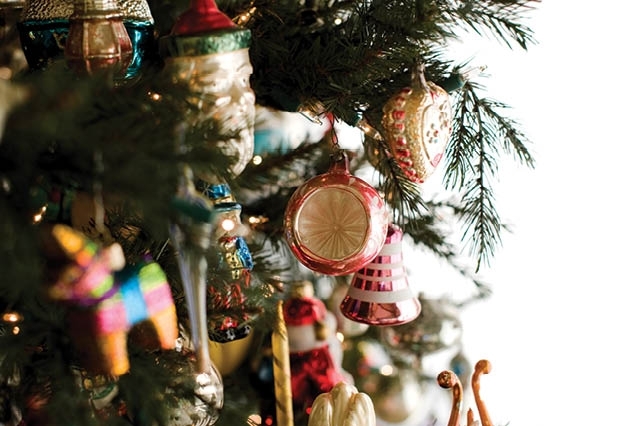 One such person is Elvi Bankey, who has been collecting antique Christmas ornaments for nearly 30 years. She agreed to an interview and also agreed to set up most of her holiday display over two months in advance of Christmas so that we could photograph her collection for the magazine. I’m not sure I would have been so accommodating, especially when it comes to all the work involved in decorating for for the holidays. I learned lots from Elvi about the history of various Christmas ornaments, AND what it looks like to live with a true Christmas spirit. Elvi loves Christmas. She embraces decorating for the season with joy; unlike me, who tends to groan at the mention of dragging out boxes of ornaments and manger scenes. Read about Elvi’s antique ornament collection here and then maybe join me in a pledge–I promise to try to see the holiday season through Elvi’s eyes–joyful, appreciative, loving and expectant. Thank you Elvi. You are an inspiration!